Pokémon GO Events - What are Events and What Can we Expect? Famous holiday coming up and wondering what could happen in Pokémon GO? Here’s what they’ve done before! One of the biggest differences between the main Pokémon games and Pokémon GO is the ability to have real-time events. For public holidays like Halloween, Thanksgiving and Christmas, the world of Pokémon GO changes just a little, but typically in a way that rewards you for playing the game as you normally would. Who doesn't like rewards? If you want more help with Pokemon Go but aren't interested in events, head on over to our Pokemon Go Guides Hub. It's full of great content to help you catch Pokemon while on the move. Pokémon GO events are great fun, but there's typically very little information known about them before the events officially kick off. Looking at previous events, what could you expect to see in the next big Pokémon GO event? First seen in the Halloween 2016 event, Niantic altered the odds of particular Pokémon spawning all over the world. For this event specifically we saw an increase in Pokémon like Zubat, Drowzee, Gastly, Cubone and their evolutions. This was repeated twice more, with the Valentine's Day event increasing the odds of pink-coloured Pokémon, and the Water Festival increasing the odds of water types like Magikarp and Gyarados. For both the Halloween and Valentine's Day events, the Candy earned by capturing and transferring Pokémon was doubled. Before the introduction of Pinap Berries and more candy for the capture of evolved Pokémon, this was a massive boon to Pokémon GO players. Perhaps due to the introduction of the Pinap Berry, the Easter Eggstravaganza event didn't double Candy, but rather increased the number of Candies you would get on average per egg hatch. We expect that future events that increase Candy will be similar to this, as 4x the Candy may be a bit overkill for the game's balance. On two separate occasions we've seen variants added to an existing Pokémon - both of them for Pikachu. With three variants total, it's bad news if you're late to Pokémon GO and were hoping to catch 'em all. 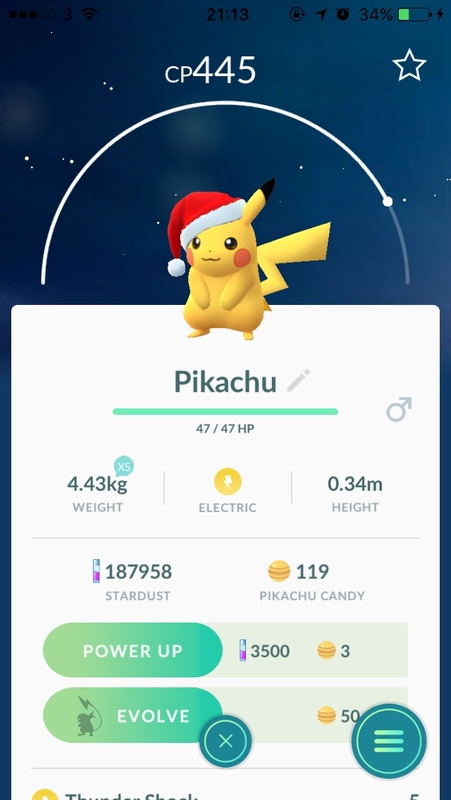 While there's nothing to say that the santa hat Pikachu and party hat Pikachu won't return to the game, Niantic may instead opt to create a new variant instead. Again during the Halloween and Valentine's Day events, the walking distance required to earn a Candy from your Buddy was reduced. For Halloween, this was a whopping 4x quicker than usual, with a more reserved 2x quicker for Valentine's Day. As the Candy earned by this method isn't affected by items like the Pinap Berry, we wouldn't be too surprised to see the 4x quicker distances showing up again in the future. While not the most common bonus from events, we expect to continue seeing double XP. It's featured in two events to date, and given the difficulty in reaching higher trainer levels, there's no reason not to expect it again in the future. Great news for trainers that want to double their Lucky Egg efforts! 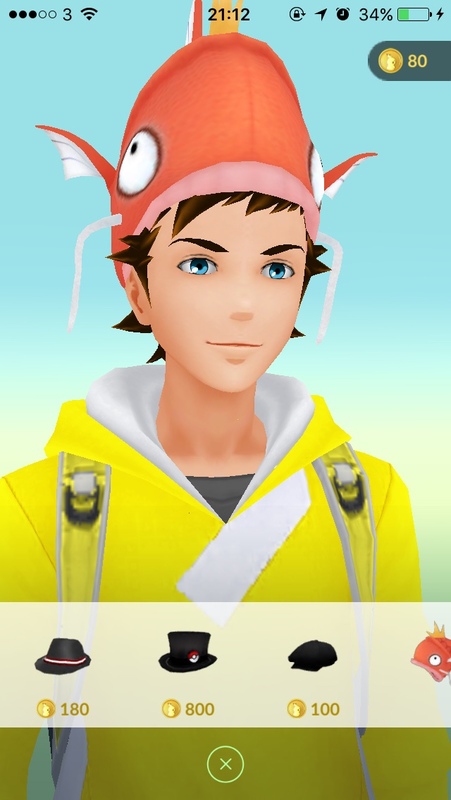 In the recent Water Festival event, every trainer was given a free Magikarp hat as a gift. While not much in itself, it paves the way for future clothes and accessories to be given away as event tie-ins. Good reasons to load up Pokémon GO and get involved! Tired of hatching Goldeen and Staryu, and want a slightly better chance of hatching something you do want? You're in luck! Both for Valentine's Day and the Easter Eggstravaganza, the egg chart was thrown out in favour of mixing it up a little. Baby Pokémon, which were relatively new at the time, were more common from eggs during Valentine's Day. The Eggstravaganza made crazier changes, with Pokémon such as Aerodactyl and Lapras moving from 10km to 2km eggs. This has only happened once, during the second half of the Christmas event in 2016, but there was a week where your first PokéStop of the day would gift you a one-use incubator. Not bad for a freebie, and we'd definitely like to see this area expanded on. While it's easy to just request more items you'd normally pay for, what about increased odds for evolution items? Why not learn how to evolve Eevee into Jolteon, Flareon, or Vaporeon? Or how to earn experience quickly and level up fast. Read all that and you'll be well on the way to becoming a Pokemon Go expert.